Wokingham, England (October 5, 2018) – CGR Cinemas has chosen Christie®, a leading cinema technology manufacturer, as its exclusive laser projection partner, as it moves to convert all 700 of its theatres to RGB pure laser technology. In a landmark agreement that sees CGR becoming the largest investor in Christie RealLaser™ systems in the world today, 200 CGR Classic auditoriums will be redeveloped for Christie RealLaser over the next two years. Complementing CGR’s hugely-successful ICE (Immersive Cinema Experience) theatres, which also utilize RGB pure laser systems, CGR will deliver the premium cinema experience. Christie’s proprietary technology uses next-generation RGB pure lasers to deliver the highest levels of brightness, contrast and colour reproduction, fulfilling the long-heralded potential of laser illumination as the preferred successor to lamp-based cinema projection technology. CGR Cínemas has experienced strong interest in its current premium screen ICE experience, which utilises Christie’s first generation of RGB pure laser cinema projectors. As a result, the company has several years of experience and customer data with the technology. CGR believes now is the best time to invest, as Christie’s next generation of Christie RealLaser deliver 4K, high frame rate, DCI performance and even higher contrast. 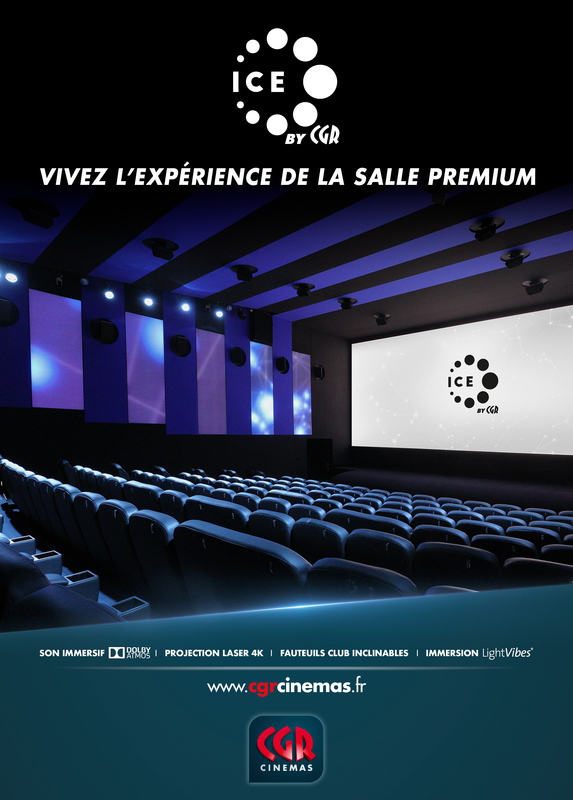 With the support of Christie and Ciné Digital Service (CDS) – the leading French cinema integrator – the company will oversee the upgrade of 200 classic auditoria across its network from lamp technology to RGB pure laser. The RealLaser family of projectors offers all the advantages of a high-performance laser projector in a compact ‘all-in-one’ form factor that eliminates the need for sub-ambient external cooling, while providing a low cost of ownership, excelling in image quality and posting an impressive operational lifetime. RealLaser delivers superior and more consistent brightness levels according to DCI standards throughout the entire lifetime of the projector. “Christie is strongly committed to developing technologies that add real value for our customers. With Christie RealLaser, we are the first manufacturer to make available the world’s first laser illumination technology that qualifies as a true replacement of lamp-based illumination,” said Dale Miller, Executive Vice President, Cinema, Christie. Christie RealLaser offers directors and producers a much-increased colour palette, approaching Rec. 2020 and over 30,000 hours of theatre operation without lamp changes. It is the only laser technology to offer brightness levels above DCI standards throughout its natural life. Christie Digital Systems USA, Inc. is a global visual and audio technologies company and is a wholly-owned subsidiary of Ushio, Inc., Japan, (JP:6925). Consistently setting the standards by being the first to market some of the world’s most advanced projectors and complete system displays, Christie is recognized as one of the most innovative visual technology companies in the world. From retail displays to Hollywood, mission critical command centres to classrooms and training simulators, Christie display solutions and projectors capture the attention of audiences around the world with dynamic and stunning images. Visit www.christieEMEA.com.